Travel to and between foreign destinations for you timeshare owners and those of you who enjoy visiting foreign countries via timeshare exchanges, may just be getting easier. High speed rail travel is a current hot topic in government circles from China to Great Britain. Those of you who like to take timeshare vacations in the U.S. may also find high speed train travel coming your way. The most ambitious high speed rail plans have just been announced by China. On the drawing board are high speed lines from Beijing to none other than Europe. Two routes are being considered, one that will pass through India, Pakistan and the Middle East, terminating in London, making that trip in just two days. The other is intended to go to Germany via Russia. China also plans to build a third high speed line extending south, connecting Vietnam, Thailand, Burma and Malaysia. Work on that line has already begun. Even though the Beijing to Europe plans may sound unrealistic, they are more than pie-in-the-sky ideas. Wang Mengshu, a member of the Chinese Academy of Engineering, states, “We have already carried out the prospecting and survey work for the European network, and central and eastern European countries are keen for us to start." Meanwhile, the good news for those of you who enjoy timeshare trips to China is that China has already started criss-crossing its own country with high speed rail service. The Wuhan – Guangzhou passenger-dedicated line is now in service, cutting the journey time between the capitals of Hubei and Guangdong provinces to under 3 hours compared with 10 hours on the old route. Proposals for high speed rail travel in England are being drawn up with the intention that the network would feature 200mph trains and cut journey times to the north of Britain in half. A recently released report details a route for the first stage of a north-south high speed line from London to the West Midlands. It includes options for extending the link further north, to northwest England, the east Midlands, Yorkshire, northeast England and Scotland, making excursions through England and up to Scotland easy for timeshare vacationers. Even America stands poised to join other nations in creating a high speed rail travel infrastructure. In February, 2010, President Obama announced that the U.S. Department of Transportation (USDOT) is awarding $8 billion to states across the country to develop America’s first nationwide program of high-speed intercity passenger rail service. This commitment means that a day may soon come when you will not have to rely on the increasingly expensive airlines, or tiring long drives, to reach your timeshare vacation destination. If you travel for your small business and wondering what small business travel expenses are deductible, you are not alone. With the tax filing deadline just weeks away, knowing what business travel and entertainment expenses you can and can't deduct is critical. Every small business wants to retain as much profit as possible in this economy, and no one wants to pay the IRS more than is required. The bottom line is that there is a lot you can write off when you have business travel expenses. Everything from your dry cleaning bill to the client calls you made from the hotel phone. The main thing is that you have the receipts to document the expense and that you do not go overboard. "Record keeping is so crucial," says Frank Degen, an agent licensed by the IRS to work with taxpayers. "You need to have records of the four 'P's' and a 'D,' and the four 'P's' are the person, the place, the purpose and the price, and the 'D' is the date. That's an easy way for business owners or self-employed people to remember what they need to do." There is a variety of ways to document your expenses. You can show it in a spreadsheet, have copies of your cancelled checks, hand write out a log, and of course the best way is to have the printed receipt. None of these items are provided to the IRS when you file, but, you must have it on hand in case of an audit. Deduct 50% of business meals (including tax and tip) – or claim a daily meal allowance. Deduct 50% of entertainment as long as business was discussed right before, during or after the event. When traveling out of town, deduct 100% of domestic travel costs, including air, train, cab or bus fare and parking costs. Deduct 100% of your accommodations at a hotel or timeshare rental. For more details, talk to your accountant or visit IRS.gov. Just when you thought you'd found all of the fun things to do on Oahu, we've come up with a list of four exciting things you may not have known about. 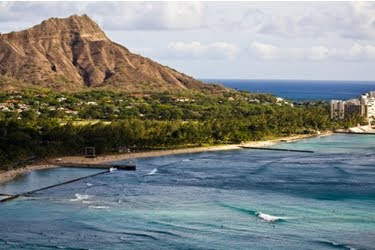 Plan a budget vacation at a timeshare rental on Oahu and explore these family activities. Have you encountered the Dole Plantation yet? Here you can take the Pineapple Express train through gardens where you will see just how the amazing pineapple plant actually grows. Then challenge yourself with the 2.46 miles of paths through the world's largest maze. You'll be rewarded with tastings of sweet, juicy pineapple spears, and even pineapple ice cream. The Polynesian Cultural Center is well-known, but many Hawaiian vacationers don't take the time to see what all of the hoopla is about. Do yourself and your family a favor and stop in to find out what makes a visit to this place a unique Hawaiian experience. The Haleiwa Farmer's Market is a must-do, especially since you'll want to stock your timeshare rental kitchen with wonderfully fresh, locally grown Hawaiian produce. Located on Oahu's North Shore, this fascinating farmer's market is open every Sunday from 9am to 1pm. Here you'll be able to purchase everything from fresh fruits and vegetables to flowers, herbs and tropical plants. You'll even find fresh island fish, grass-fed beef, and free-range raised eggs. Add to your pantry the local honey, jams, chocolate, and coffee, and you'll be dining in your timeshare as well as King Kamehameha himself. And don't forget to shop the local Hawaiian artisan booths, too, including jewelry, pottery and photography. Stock your timeshare bathrooms with locally made soaps, skin care products and even fragrant soy candles. While you're enjoying this unique Hawaiian shopping, your kids will be having fun with arts and crafts at the Keiki Korner. For those of you who appreciate history, a visit to the Bishop Museum, called the Smithsonian of the Pacific, is a must. This is a wonderful place for the entire family to learn about the culture, geography and history of the Hawaiian Islands. Three floors exhibit fascinating artifacts and treasures actually owned by Hawaii's kings and queens. The ultra-modern Science Adventure Center has, among other things, a walk-through volcano! It's a good thing you have an entire week at your Oahu timeshare rental - with so many fascinating activities to lure a Hawaiian vacationer, you'll need all of that time. After all, you'll still want to sunbathe on the beach! One of the best things about vacationing in Hawaii is sampling the unique Polynesian food. When you stay at a timeshare rental, you have your own kitchen in which you can have fun reproducing dishes that you had in restaurants and even concocting your own special versions of Hawaiian fare. Fresh fish is an island specialty, and something that many Americans sadly do not have a chance to enjoy often enough. So, while vacationing at your Oahu timeshare, here's your chance take advantage of some very special opportunities to experience the local fish industry and sample its succulent ocean catch. For you early birds, here is a unique experience that you'll be glad you took - meet at 5:30am at the United Fishing Agency at Pier 28 for the Honolulu Fish Auction. Every morning, Monday through Saturday, chefs, restaurateurs, and wholesalers meet here to bid on the day's fresh catch. You'll be in the middle of the excitement as fish and seafood are bought and sold at a feverish pace. If you plan to go, covered shoes are required, and a jacket is recommended as the auction floor is kept at a chilly 50 degrees F.
Sample the end result of all of this early morning fish business by visiting local fish eateries. Nico's Fish Market is located right on Pier 28. 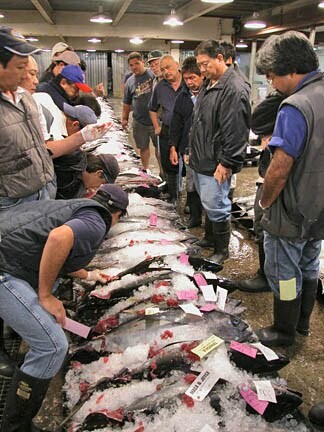 The fish is taken directly from the auction and immediately prepared for the public. You can't get much fresher than their Catch of the Day specials. With your gourmet-style lunch you can also relax to live entertainment ranging from the blues to contemporary Hawaiian music. Or head to Uncle's Fish Market where you'll find something for every member of your family. The menu here ranges from delectable fish and chips to more adventurous items such as the award-winning "Uncle's Signature Ahi Poke Tower" - an incredible combo of sashimi-grade ahi tuna, ahi tarter, rice, guacamole, and tobiko, and all served with tortilla chips. For truly casual fare keep an eye out for the Kahuku Shrimp Trucks as you travel around Oahu. Parked along the sides of the roads, these great highway stops offer delicious varieties of prepared shrimps and prawns, including butter-garlic, coconut, sweet and spicy, and fried. You'll encounter many locals who also flock to these unique seafood eateries. Watch for Romey's Kahuku Prawns and Shrimp, a shrimp truck with a twist - you get your own pole and the experience of getting your own prawn catch-of-the-day. They'll cook them up for you, or you can take the prawns back to your timeshare and prepare your own memorable fresh Hawaiian dish. The news flash is that Spaceship Two made its maiden flight on March 22, 2010, and vacationing in space is becoming more and more a reality. This first of several planned test flights took the Virgin Galactic spacecraft just a few miles up into the sky. 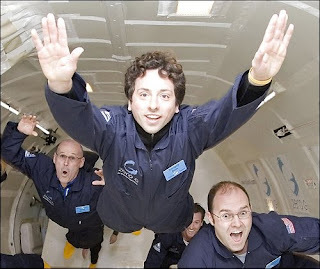 But when space actually becomes a vacation destination, Spaceship Two will be taken up to 50,000 feet by its jet-propelled mother ship, WhiteKnightTwo, and then let go. Spaceship Two's own rockets will then fire, and off into space you'll go. The space tourism industry is now open for business. The first real space tourist was Dennis Anthony Tito, a United States engineer and multimillionaire. In April, 2001, he spent 8 days aboard Russia's Soyuz spacecraft, orbiting the International Space Station. Since then several more people have taken tourism to the new heights. The good news is that you don't have to forego vacations on the planet now as you save your pennies for an out of this world vacation. While you're waiting to blast off into space, plan your earthly vacations with timeshare rentals. These remarkably budget-friendly, inexpensive modes of vacationing offer a lot of bang for your buck. You get bedrooms and living rooms and kitchens and decks and patios and tennis and hot tubs and swimming pools and - all sorts of wonderfully fun and exciting things right here on the ground. If you just can't wait to become a space tourist, rent an Orlando timeshare or Daytona Beach timeshare and head for Cape Canaveral. Here you can practice by experiencing a simulated moon landing or a rocket ship blast off, and even try out that wonderfully delicious - space food. Cape Canaveral timeshare rentals are also available. Article written by guest blogger: Jeff Nelson, a real estate agent who owns and writes about investment property. Vacations are a holiday from the dull routine of life, and are something everyone deserves and looks forward to at least once a year. With varying costs for various locales, financing the vacation might be a problem, but what can be done about it? With an initial up front investment, you can apply your money towards a guaranteed vacation at the same, or a different destination every year. Plus, when hotel costs are rising every year, your pre-paid vacation does not. This is the idea behind timeshares. Timeshare investment is worth looking into now more than ever, considering the trend that a timeshare vacation can be used for more than just the same trip to Orlando, FL each year when you utilize timeshare exchange. Some people cringe at the word “timeshare” having heard the cases where people are subject to negative sales techniques causing them to buy bad investments. Think of these situations as exceptions rather than the norm and if you choose to buy a timeshare resale, you will avoid sales people all together. But, if you do decide to attend a timeshare presentation, keep in mind that the average one can take 90 plus minutes or even longer. Try to avoid a presentation for the purpose of the "free gift," which is where you are generally subjected to extremely high pressure selling techniques to buy the timeshare right then and there. The presentation will most likely cover extensive details about the resort property, its facilities and the amenities included. You will learn about the size of the units, which can determine the maximum number of people that can stay. They will tell you what weeks are available for purchase including the check-in and check-out dates. In addition to the initial payment for the property, timeshare owners are obliged to pay annual maintenance fees. Be sure to learn about those fees during the presentation. Often when people hear about timeshares or vacation investments, Orlando springs to mind, and with all the golf courses, family amusement parks, fantastic eateries and restaurants, it’s no wonder! With its warm, sunny and desirable climate it’s a great place to buy Orlando investment property, whether timeshare or a vacation home. As you think about investing in your vacation, it all comes down what works the best for your vacation lifestyle. If you’re looking for a quick and cheap getaway, try timeshare rental. If you like the idea of locking in costs at your favorite resort, buy a timeshare resale. If you want a return on investment, consider a vacation home. No matter which option you choose, just be sure to enjoy one week a year away from the norm and invest in yourself. The northeastern U.S. is well known for breathtaking autumn beauty, and so the southeast is stunning in spring glory. The mountains of the southeastern United States display some of the most beautiful and diverse spring woodland wildflowers in the world. Celebrate this rich offering of spring by visiting the incredible Shenandoah National Park in Virginia. A timeshare rental in Alexandria, Virginia will perfectly place you for an easy drive to the Park, just over an hour away, or a quick trip into Washington D.C. via their transit system. Shenandoah National Park is 105 miles of incredible vistas through the Blue Ridge Mountains of Virginia. The main route through the Park is Skyline Drive, which takes visitors along the very crest of the mountains. Looking out over the undulating mountain tops from on high you'll see the ridges to the horizon bathed in various hues of blue. It's the natural photosynthesis water expiration of the woodland plants that creates this distinctive beautiful blue haze, giving the mountain range its name. During the spring, beginning in March, the wildflowers become plentiful along hiking trails and mountain streams in the lower elevations. By May colorful azaleas can be seen covering the ground through the forests, and spreading up along Skyline Drive. Although Shenandoah National Park is surrounded by towns, and close to metropolitan areas, it is a wilderness haven where more than 1,300 types of plants thrive, including 66 rare species. Shenandoah National Park celebrates the glories of the spring season with its annual Wildflower Weekend. Plan to attend this year's festival May 8 and 9. The event includes fun activities for kids, such as "Bugs and Blooms" designed for children ages 7 - 12. Journaling and drawing activities are part of "Seeds of Inspiration." The easy "Big Meadows Stroll" takes you through a rare mountain meadow habitat covered in wildflowers. Or try the more advanced "Wildflower Ramble" along the upper portion of the Rose River Falls Trail. A spectacular hike for those of you in good shape is the lovely but strenuous South River Falls Trail that takes you through carpets of wild geraniums, violets, trilliums and many other spring flowers to a viewpoint overlooking the third-highest waterfall in the Park, cascading down over 80 feet. As you find your true back-to-nature self in the beauty of springtime in Shenandoah National Park it will be hard to believe you're just an hour from bustling Washington, D.C. And with such easy access from your timeshare rental, a vacation here will be a spring event your family will look forward to experiencing year after year. Wyndham Named as One of Fortune Magazine's "Most Admired Companies"
For the third consecutive year Wyndham Worldwide Corporation has been named to Fortune Magazine's "Most Admired Companies" list in the hotels, casinos and resorts category. Winners were chosen by 15,000 top executives, directors and analysts who were asked to rate all Fortune 1,000 companies in their own industry on eight criteria. "For Wyndham Worldwide to once again be recognized by its peers and ranked so highly in our category is an honor," said chairman and chief executive officer Stephen P. Holmes. "Given the challenges that 2009 presented, this news is especially gratifying." Wyndham Hotel Corporation was founded in 1981 in Dallas, TX, by Trammell Crow, a property developer who created several famous projects, including Peachtree Center in Atlanta and San Francisco's Embarcadero Center. Employing over 25,000 people globally, Wyndham Worldwide is now one of the world’s largest hospitality companies, with more than 20 brands and operations in over 100 countries. Wyndham Worldwide brands include Days Inn, Howard Johnson's, Ramada Inn, Super 8, Travelodge, and Wingate by Wyndham, as well as the Wyndham Vacation Resorts and WorldMark by Wyndham timeshare properties. Wyndham Vacation Ownership, headquartered in Orlando, Florida, is the largest timeshare ownership business in the world. It includes a network of 140 properties, 20,000 individual units, and over 800,000 property owners with locations in North America, the Caribbean and the South Pacific. It's easy to experience why so many vacationers enjoy staying at Wyndham destinations by planning your own Wyndham timeshare rental vacation. For a back-to-nature vacation try Wyndham Pagosa in beautiful Pagosa Springs, Colorado, and Wyndham Branson in amazing Branson, MO. Go for a beach vacation at Wyndham Palm-Aire, Pompano Beach, Florida or Wyndham Waikiki Beach Walk in Honolulu. For casino fun check out the Wyndham Grand Desert in Las Vegas, or the Wyndham Skyline Tower in Atlantic City. Whatever your vacation wishes, Wyndham has a resort that will meet your family's needs. You can also find real bargains in Wyndham timeshare resales. Find that special Wyndham resort where your family will look forward to vacationing year after year, and call it your own. As all of you savvy timeshare owners know, one of the great bonuses of being a timeshare owner is the opportunity for timeshare exchange which opens up the entire world to you. Take for example the exciting things that are taking place in South Africa. In June, 2010, South Africa will make history by hosting soccer's FIFA World Cup. Soccer (known to other countries as "football") is the most widely followed sport on the planet. And 2010's World Cup will be a sporting extravaganza, with the final games staged in 10 venues in nine cities spread all around South Africa. The world has watched South Africa make enormous strides since the historic day Nelson Mandela walked away from political imprisonment and turned to meet the challenges facing his country. Since then South Africa has been emerging to take its proper place among the world's nations. To that end, South Africans have been proud to promote their country by hosting such events in the past as the historic Rugby World Cup and the Cricket World Cup. “One of the big legacies of the 2010 World Cup will be to finally position South Africa as an events and sports tourism destination,” explains Sugen Pillay, South Africa Tourism's Global Manager of Events. South African finance minister, Pravin Gordhan, predicts that the World Cup will help the country’s economy grow by 2.3 per cent in 2010. In fact, the FIFA World Cup is seen as a springboard to promote tourism not only to South Africa, but the entire African continent. With the continent’s major teams taking part – Algeria, Cameroon, the Ivory Coast, Ghana and Nigeria - United Nations World Tourism Organization (UNWTO) secretary-general Taleb Rifai notes that the World Cup has the potential to be a historic landmark for all of Africa. “There is already a change of image about Africa – and this will be a great opportunity to showcase the continent," Rifai stated. "The positive side of Africa is its tourism attractions, the cultures and the people." The magic of world travel is yours with global timeshare exchanges. Search online to find not only South Africa timeshares, but, many other exciting destinations. When you start planning your timeshare rental vacation, you probably think about the obvious destinations such as beaches, or big cities or even National Parks. Here's a new idea that you just might want to really consider. 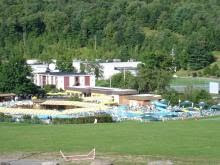 Check out the Villa Roma Resort Lodges in Callicoon, NY. Nestled in the Catskill Mountains, a beautiful and relaxing 2 1/2 drive from New York City, this resort was listed in the just released "Top 25 Timeshare Rental Resorts" selected by RedWeek.com users. This amazing resort is known for its peaceful setting and wonderful opportunities for real relaxation. 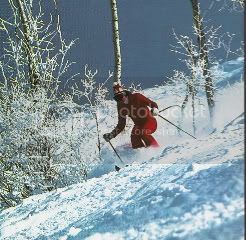 It's also known as one of the best family resorts in the country, and for its many and incredibly varied activities. The summer Children's Camp program has activities for kids from toddlers to teens. Little ones will enjoy storytelling, face painting and the kiddie pool. Children a little older can participate in piñata parties, relay races and nature hikes. Tweens will have fun with scavenger hunts, ping pong, and ice cream parties. Teens will find plenty to do including softball, Wii tournaments, and bon fires. When you adults feel you have relaxed enough, there's always rafting on the Delaware River, line dancing lessons, culinary demonstrations and cooking classes, bocce ball and shuffleboard tournaments, fitness classes, TV game participation, karaoke, and the list goes on and on. Oh, and did we mention that they also have an 18-hole golf course? You'll also be pleased to know that child care and baby-sitting services are available which will allow you to enjoy the evening shows or dance the night away. Villa Roma Resorts has just undergone a $27 million restoration that has lovingly "redesigned and redefined" the resort, creating luxurious surroundings and beautiful rooms. If this is all starting to sound pretty good, you might also want to check out the number of great bargains you can find for timeshare resales at Villa Roma, which has been named by Better Homes & Garden Magazine as one of America's 50 Best Family Resorts. Purchasing a timeshare resale will allow you to give your family a remarkable vacation to look forward to every summer, or winter (yes, there's also plenty of skiing, snow tubing, sleigh rides and many other winter activities), for years to come. This past week AirTran fired the first volley in the summer airfares war, offering a two-day sale of cheap seats and a large travel window. U.S. Airways, United, Delta and American quickly followed suit. As the beleaguered airlines industry continues to attempt to recoup lost revenues and increase profitability, it is still forced to come to terms with the current recession and rough economic times. While airlines typically see the summer vacation season as a way of making enough money to last through the winter, with fewer passengers this becomes more difficult. For those of you planning to vacation at your timeshare, this means that by being watchful and prudent you can still find bargain airfares. 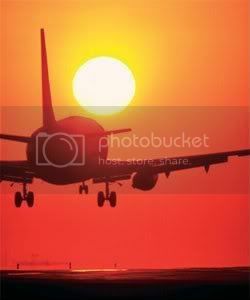 As a timeshare owner or renter you know well in advance on what dates you will need to fly. This gives you a great advantage over other vacationers. When airfare skirmishes develop, which they will continue to do, the odds are that you'll find cheap airfares on your dates that you can purchase even though the sale has a limited duration. "We're trying to really entice people to book travel," AirTran spokesman Christopher White said. Other carriers were forced to match on routes where they compete with AirTran or risk losing many passengers to AirTran's sale fares. And as the struggling airline industry competes for every last passenger, when one airline posts a sale, other carriers quickly follow. "The unofficial motto is: Match (the fare) or die," White stated. While you plan your timeshare vacation this year, do your research and sign up for fare notifications from companies that specialize in keeping track of constant changing airfares and the quick sale. If you catch one of these sales it can pack a powerful punch for your timeshare vacation budget. The Travel Promotion Act is back in the news. See our previous post "What is the Travel Promotion Act?" Passed by Congress in the fall of 2009, the legislation was delayed due to procedural concerns. Finally in February, 2010, the Travel Promotions Act was again passed by Congress with major bi-partisan support and sent to President Obama, who signed the bill into law on March 4, 2010. The Travel Promotion Act is tendered on the fact that "Promoting travel is critical to both America’s economy and public diplomacy." Overseas travel to the U.S. continues to be down compared to pre 9/11 figures. In contrast, global tourism has increased by 30%, that's 35 million new travelers, over the same time period. As the U.S. government has wrestled with the effort of identifying and heading off terrorist threats since 9/11, it has imposed security programs that impact all phases of travel, including the visa application, visa interview, use of personal data supplied to airlines and cruise lines, fingerprinting, and exit requirements. All of these have left international travelers confused, feeling unwelcomed, and more likely to travel to some other part of the world. The Travel Promotion Act has identified a lack of information on American security policies as the greatest deterrent to visiting the United States. This legislation, therefore, seeks to improve America's diplomacy with travelers from other countries, and thus improve America's economy. Combined with visa and entry reforms, it is expected to bring millions of dollars into the United States economy, create hundreds of thousands of jobs, and have a 6:1 return in tax revenues. The legislation calls for the formation of a nonprofit Corporation for Travel Promotion that will promote the United States as a travel destination and explain travel and security policies to international visitors. Most industry leaders feel that the passage of this act is a victory for everyone involved in the travel industry, including the timeshare community. Once you've decided that buying a timeshare is the right move for you, a lot of other questions arise. These questions are more technical but it's important that you understand these aspects of timeshare ownership, so we'll help you sort it all out. What does fixed and floating mean? A fixed program means that the owner owns the right, and can only use, a timeshare unit during a particular week (a "fixed" date) every year. A floating program gives the owner the flexibility to choose a week generally within a specified time period or season. While a floating program gives you flexibility it also puts you in competition for prime holidays and high-demand seasons. What is "deeded," "non-deeded," and "right-to-use"? Deeded contracts are a deeded interest in real estate and are officially called "timeshare estates" under most state law. With deeded contracts your fractional ownership of a resort is considered real property. That means that you can use the week, rent the week, give it away, sell it, and even leave it to your heirs. You are also liable for a portion of the real estate taxes, which is usually collected as part of the timeshare maintenance fee. Right-to-use is a non-deeded interest, and the two terms refer to the same thing, officially called "timeshare use" under most state law. It is also known as "membership." In this case you do not own real property, but rather the right to use specific property for a certain number of years. Because many countries have severe restrictions to foreign ownership of property, right-to-use is a popular method of foreign timeshare resort development. What is a points system? The points program generally gives you a number of points based on your level of ownership. You can then use the points to request such things as "fractional weeks," meaning staying just a few days rather than an entire week, different unit sizes, different seasons, etc. In other words, purchasing points gives you an opportunity for more flexible vacations. Points can often be used for other things such as rental cars, cruises and hotel nights. Points programs differ with each resort so make sure you understand exactly what the resort is offering. Points are also sold either as deeded or right-to-use. How is the timeshare industry regulated? The American Resort Development Association (ARDA) is an organization that works with legislators at both the federal and state levels to ensure such things as the right of rescission, truth in advertising, and that your timeshare is protected from the developer's debt. You can be an active owner and join timeshare homeowners associations as well as the ARDA's coalition, both of which champion the cause of the timeshare owner. For general timeshare questions see our previous post “Basic Q & A About Timeshares". When you start thinking about owning a timeshare, many questions are bound to come up. This is especially true if you are a newbie to the timeshare industry. To help you sort it all out, following are some basic questions and answers. Just exactly what is a timeshare? Simply put, a timeshare is a group of people sharing the cost of vacation accommodations. You purchase either deeded property, the right-to-use, or points and share the time that you use the accommodations. Current terms that mean the same thing are "vacation ownership," and "vacation club." How do I know owning a timeshare is right for me? A timeshare will work best if you take at least one vacation every year - or maybe you are looking for that thing that will basically force you to take a vacation. If you seldom take a vacation or are looking for real estate investment, timeshare is not for you. Does your family vacation include taking children? A timeshare offers a vacation accommodation that is roomier than a hotel room, providing separate bedrooms, common living areas, and a fully-equipped kitchen. Timeshares are also attached to resorts where you are able to take advantage of all of the activities and amenities offered by that resort, including children's playgrounds. A timeshare is also good if you are a retiree looking to vacation where you can have privacy but also be able to join in activities such as golf and tennis. After I buy my timeshare, what other costs are involved? You now are a partial owner and as such must pay an annual maintenance fee that helps cover the cost of running the resort, including management, upkeep and improvements. You are also required to pay a percentage of the annual real estate property taxes. What if I'd like a change and want to vacation somewhere else? The beauty of owning a timeshare is that it opens the entire world up to you. The timeshare exchange program allows you to trade your timeshare for another one either in the U.S., or internationally. What is the difference between buying a timeshare directly from the resort company and buying resale? Although timeshares bought from a developer often come with incentives, including a year's free membership in the resort's exchange company, additional time at the resort, etc., the cost is also generally much higher to cover such things as sales commissions and advertising. Real bargains can be found through timeshare resales. Make sure that your resale purchase is done through an established and reputable company to ensure your customer protection and benefits. For more detailed timeshare questions and information, see our post "More Q & A About Timeshares". Have you been thinking about buying a timeshare? Doing some fact-finding? Checked out the Pros and Cons? Can be a bit overwhelming, right? Read on - we'll cut to the chase: What Timeshare Ownership Really Means. We'll start with Vacation Planning 101. Before you even head out on your trip you can get stressed. There are so many things to think about and plan for, all of which are complicated by the number of people who are going along, and their ages. You have to agree on a destination, agree on cost, agree on the activities for everyone in your family. You also have to make a choice of accommodations - and then you hope for the best. Owning a timeshare automatically gives you stress-free planning. There will be no surprises. You know where you're going, you know why you're going there, you know the cost, you know what to expect. Often the amount of time you purchase is expressed in terms of “points”—a popular trend that is aimed at increasing the range of options for the use of your timeshare interval. This means that the entire world literally opens up to you. With your points you can have a change from your customary vacation destination, and trade for a new experience. You're keeping your own timeshare, though, and that's good news for not having to plan your vacation next year. Vacationing at a timeshare offers remarkable advantages to staying in hotel rooms. First there is so much more living space. With the kids along that means more breathing space for everyone. This also offers you a good chance for family bonding as you have a home-like atmosphere in which everyone can unwind and relax. Other timeshare advantages include the fully-equipped kitchen for easy, and cost-effective, feeding of the family. And, of course, there are the resort's amenities, all of which are yours to enjoy. Many resorts offer activities for every member of the family, including children's playgrounds, teen arcade game rooms, tennis, golf, swimming and the list goes on. Owning a timeshare basically forces you to take that oh, so necessary vacation break. Buying a timeshare resale can offer you some real bargains, and buying at today's prices will keep you going on that vacation into the future. The accommodations are priced according to a variety of factors, including the size of the unit, the resort amenities and location, and the season of use. When you buy a timeshare, all of this is a one-time only decision. By owning a timeshare you are ensuring that you'll be giving your family a fabulous vacation for years to come, and all of the planning is done. Planning your Spring Break vacation? Don't have a passport? Don't worry! While a passport book or a passport card is now required when you cross both of our southern and our northern boarders, or fly into the Caribbean, there are still many great Spring Break destinations that don't require any kind of travel documents at all. And you'll find plenty of your fellow students taking advantage of the same idea - so you'll have lots of compatriots to join you in keeping those parties going. Still dreaming about a Caribbean vacation? We have good news. Since Puerto Rico is a U.S. territory, you don't need a passport to travel there. Rent a Puerto Rico timeshare at a luxury resort and discover a truly amazing Spring Break destination. Complete with everything from fantastic snorkeling to rock climbing and even caves to explore, Puerto Rico has it all. For those of you on your school's golf team you'll be glad to know that Puerto Rico is called the "Golf Capital of the World." And you're probably already aware that Puerto Rico is known for its wild nightlife. Another U.S. territory in the Caribbean is the U.S. Virgin Islands, again meaning you don't need a passport. Incredible sugary white sand beaches are yours for sunbathing and swimming when you rent a timeshare at a luxury resort here. St. John timeshares, St. Croix timeshares and St. Thomas timeshares will all provide you with a legendary Caribbean island vacation. 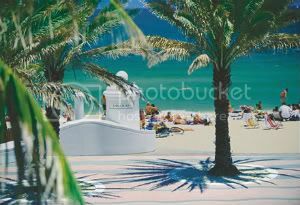 White sand beaches that are so dazzling they can hurt your eyes are available up and down the coast of Florida, complete with swaying coconut palms and lots of sunshine and fun. Rent a budget timeshare and enjoy a luxury Spring Break vacation on Florida's Paradise Coast at Naples. Panama City says it has "The Most Beautiful Beaches in the World, " and is known as one of Florida's two best Spring Break party destinations. The other is Fort Lauderdale. Both destinations offer beaches for sunbathing, water sports (have you tried "kiteboarding" yet? ), and great nightlife for non-stop partying. See all Florida timeshares. Remember that by getting a bunch of your friends together you can split the cost of renting a timeshare and stay at a true luxury resort, on the cheap. Surf through the many listings and get an idea of how affordable an over-the-top Spring Break vacation can be. It's the deal of a lifetime! Disney's California Adventure Park is undergoing a huge transformation and expansion. California Adventure was originally created as a theme park to celebrate all things California. However, Disney Imagineers have been listening to park guests who wished for a larger focus on Disney characters and stories. Rent an Anaheim timeshare and take your family to see how the previous generic adventure of California has been transformed into a truly magical Disney's California adventure. The iconic Golden Gate Bridge entrance to California Adventure will be completely changed to Buena Vista Street, the bustling Los Angeles neighborhood that greeted Walt Disney when he first stepped off the train from Missouri in 1923. Several new attractions await you in the Paradise Pier area. The Little Mermaid's "Ariel's Undersea Adventure," opens in the spring of 2011. According to Disney Imagineers, this $100 million attraction "takes the concept of the immersible ride to a whole new level - deep!" Twelve acres of what's left of Disneyland's original parking lot has been appropriated for Car's Land, the largest new attraction being built for California Adventure's renovation. Based on the Disney-Pixar animated film "Cars," this "town for cars, made by cars" is scheduled to open in the summer of 2010. All of the characters of Radiator Springs will be involved, including Lightening McQueen, Sally, Mater and Doc. You'll float on Luigi's Flying Tires and dance to Mater's Junkyard Jamboree. An exciting ride, destined to become a favorite, is the Radiator Springs Racers, where you'll be able to show off your racing skills as you rocket through the desert. The show piece of the new California Adventure will be "World of Color," opening in the spring of 2010. A 9,000 capacity viewing area will be built alongside the Paradise Pier Lagoon where guests can enjoy a spectacular nighttime show similar to Disneyland's "Fantasmic!" 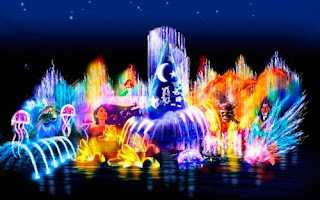 World of Color will use water effects, lasers and flame projections to highlight classic Disney animation. Over 1200 fountains will shoot water 200 feet into the air, and the water screen, 380 feet long by 50 feet tall, will be the largest in the world. As a Disney Resorts spokesperson put it, "World of Color creates a magical realm of soaring music, dazzling color, exciting animation and stunning special effects that will leave you scratching your head and asking, 'How did they do that?'" "Disney is famous for spectacular entertainment, but there has never been a show this big, this dynamic, this colorful or this amazingly awe-inspiring," a Disney Imagineer said. Just north up the coast from San Diego, California, is Carlsbad, home of the amazing Flower Fields. Here you'll experience spring in such a blaze of color that you'll be dazzled for weeks. Imagine 50 acres of rolling hillsides in solid bloom overlooking the blue Pacific Ocean. The beautiful Ranunculus, grown for the bulbs, flower here mid-March to early May, What began 85 years ago as single petaled blossoms in red and orange, have been carefully cultivated over the years to result in double petaled flowers in 13 exceptional colors, including the unique picotee, a mixture of variegated colors. Besides the Ranunculus flower, spears of colorful blooming gladiolus also fill the fields. Known as a "national jewel," the extraordinary Flower Fields are both a working horticultural ranch and a tourist destination. There are a number of ways that you can enjoy the Flower Fields. Pick up visitor information and take a self guided tour, or join a group walking tour led by a knowledgeable tour guide. For some extra fun, climb aboard a tractor-driven wagon ride that also includes commentary by a guide. Many other activities await you at the Flower Fields, including the ever-popular Sweet Pea Maze. As you wind your way through the maze you'll be immersed in the incredible sweet fragrance of this old-fashioned flower. The Walk of Fame is the only display in the country of every All-American Rose Selection winner since 1940. And the All-American Rose Selection (AARS) Garden is one of the 130 AARS-accredited public rose gardens in the nation that tests and displays new varieties of roses. To give your family a truly remarkable spring vacation, and the opportunity really become immersed in Carlsbad's amazing Flower Fields, rent a timeshare at the Grand Pacific Palisades Resort in Carlsbad. At this resort you'll get the best of two worlds when you find yourself actually staying next to the colorful fields of flowers, and the beautiful Pacific Ocean beaches less than a mile away. A timeshare at the Grand Pacific Palisades Resort is also perfectly located to be a hub for many other fun Southern California activities. Sea World and the world-famous San Diego Zoo are just a quick drive down the coast. And the Concierge will be happy to arrange trips for your family to Disneyland and even Hollywood. See all San Diego timeshares. Fifth in our series "Places Every Kid Should See" will take us into outer space - or at least to the launch pad. The Kennedy Space Center in Florida will bring the exciting story of the United States' space program to life for your kids. The Center is located on Cape Canaveral, a headland along the Atlantic Ocean known as Florida's "Space Coast." Rent either an Orlando timeshare (a 45-minute drive), or a beautiful Daytona Beach timeshare (a short hour's drive) for a great family vacation. Today's children have grown up with space travel becoming more and more common place. Hardly a ripple goes through the public when a space shuttle is launched, a rocket blasts into space, or the International Space Station is mentioned. The beginnings of human space travel is really the stuff of science fiction, and kids will get a thrill to see what it was like to take those first heady steps into space - the courage, the determination, the tragedies and the scientific breakthroughs that made it all happen. The Kennedy Space Center is the U.S. government's installation that operates America's astronaut launch facilities. It has been the launch site for every U.S. human space flight since 1968. Its Vehicle Assembly Building (VAB) is the 4th largest structure in the world by volume. The Center is a major tourist destination, with a visitor's center and public tours available. Here your kids have the unique opportunity to not only explore past history but also see history in the making. Because this facility is constantly preparing for space launches, much of it is restricted. But that will only make it more exciting for your kids, knowing that they are at the actual site of America's space program. The Kennedy Space Center Visitors Complex offers a number of displays including actual space craft such as the Gemini 9 capsule and the Apollo 14 command module, and thrilling interactive exhibits including the Shuttle Launch Experience, and a simulation ride into space. Two IMAX theaters will give your kids the exciting experience of being inside the firing room during an Apollo launch, and a simulation of the Apollo 11 moon landing. A tour of the Space Station Processing Facility will allow your kids to see where modules for the International Space Station are tested. Bus tours will take your family around the Cape Canaveral facility to see the VAB up close, a restored gigantic Saturn V rocket, and even transportation to the observation platform at Launch Complex 39, which provides unobstructed views of both launch pads, and the surrounding Kennedy Space Center property. If they're lucky your kids might even get a glimpse of one of the space shuttles standing on a launch pad in preparation for a blastoff. See all Florida timeshares.